There are about 5 million people that are killed worldwide by a stroke every year. It is also the leading reason for permanent disability. If you want to keep stroke away, there is some light at the end of the tunnel. There are no perfect methods, but you can reduce your risk by sticking to a solid prevention diet. With some simple guidelines, you can lower your risk and improve your health overall. There is ample research indicating the best way to get on the fast track to a healthy diet is to bump the amount of fruits and veggies you eat every day. So be sure to add at least 5 servings of fruits and veggies every day. The waxy, fatty substance found in many foods from animals is called cholesterol. Your body needs some of it to keep healthy cells. The problems occur when there is too much in your blood. This can increase your risk to heart disease and stroke. There is a link between diets high in saturated fats and an increased risk to cardiovascular disease. Saturated fats are solid at room temp and are in meats, butter, egg yolks, cheese, ice cream and vegetable oils. Limiting the amount of saturated fats you take in is key to a stroke prevention diet. Trim excess fat and skin from meat. Reduce portion sizes of your meat. Choose low-fat or nonfat dairy foods. Substitute spices and herbs over salt. It will add a robust flavor and help keep you from missing salt. Try to avoid mixes and even garlic salt as you are looking to get flavor, not ingredients. Reduce processed foods, especially canned goods. Sodium is used in preserving these foods, and the more processing is done to an item, the more sodium it is likely to contain. Try to limit frozen entrees, canned meats, canned soups and veggies. You will also see more sodium in instant cereal, gravy, sauces, puddings, boxed meals, mixes for your foods. You can substitute for a low sodium product. Try to eat fresh as often as possible. Don’t add salt, just fresh foods. Frozen entrees should be less than 600 mg of sodium, and this should still be limited to no more than one per day. Instead of snacks like peanuts, chips, pretzels or crackers, ty to eat fresh fruit, veggies or plain popcorn. Check your medication labels. Though it may not be a significant part of your diet, cold and headache meds can contain sodium. How Much Sodium Can You Have a Day? Most professionals say that those with a history of heart problems or stroke should stay under 2,000mg a day. Those with high blood pressure should stay less than 1,500 mg a day. Talk to your physician to get the best idea. To help with your stroke prevention diet, be sure to keep your fiber intake high. This comes from parts of the plant your body won’t digest. When it passes through your body, it helps the way you digest and absorb nutrients. How much fiber you eat will affect your cholesterol and stroke risk. It can also benefit your blood sugar, and helps with weight management and digestion trouble. Start the day with whole grain toast, oatmeal, bran cereal or whole grain cereal. Skip the juice and opt for whole fruit. Try adding garbanzo beans to your salads. Choose whole grain muffins, bagels, buns, crackers and breads. Choose brown rice, whole-wheat pasta. Top cottage cheese and yogurt with fruits and nuts. Add barley, dried beans or veggies to your soup. Add more veggies and fruits into your diet. 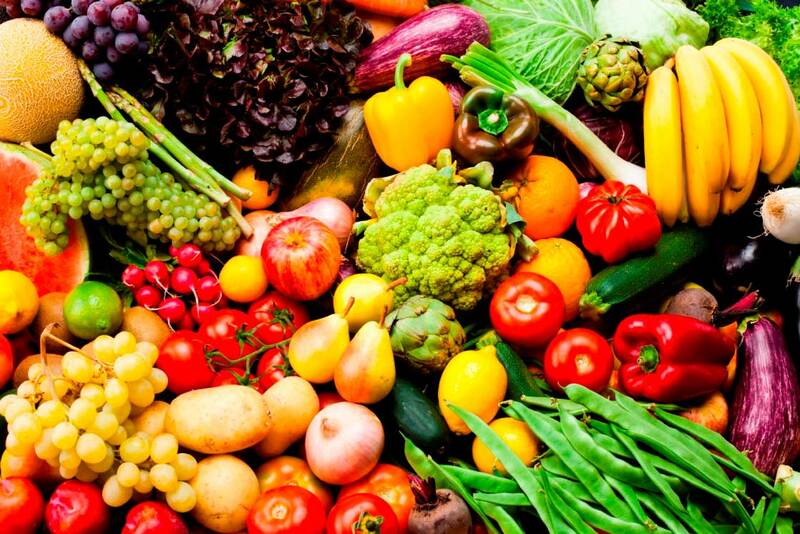 The best source of dietary fiber is cooked or raw veggies and fruits. Whole grain items, beans and peas, and leafy greens are excellent sources. Skip the fruit juice, soda, white pasta, white bread, and regular cereal that are all low in fiber. Boosting fiber can help curve cravings, promote weight loss, and benefit your stroke prevention diet overall. Eating too much sugar can cause obesity, hypertension, dyslipidemia and type 2 diabetes. These are all risk factors for stroke. This includes honey, brown sugar, white sugar, jelly, molasses, jam and sweetened drinks. Desserts and sweets usually have added sugar. Getting enough potassium is important to maintain correct heart function. Most adults don’t get enough potassium. It is abundant in milk, vegetables and fruit. High blood pressure is one of the biggest factors. It can double and quadruple your risk of stroke. Work hard to keep your blood pressure below 120/80 or those who already have trouble, 140/90 may be more realistic. Lose some weight and get your BMI below 25 or better. Get moderate exercise at least five days a week. Be moderate with your alcohol. There are studies show about a drink a day may lower your risk. But if you have more than two drinks in a day, your risk will be worse. Atrial fibrillation can carry nearly a fivefold risk of stroke and needs to be treated with seriousness. High blood sugar will damage your blood vessels and make clots easier. Try to keep it under control. Quit smoking as it can accelerate clot formation.